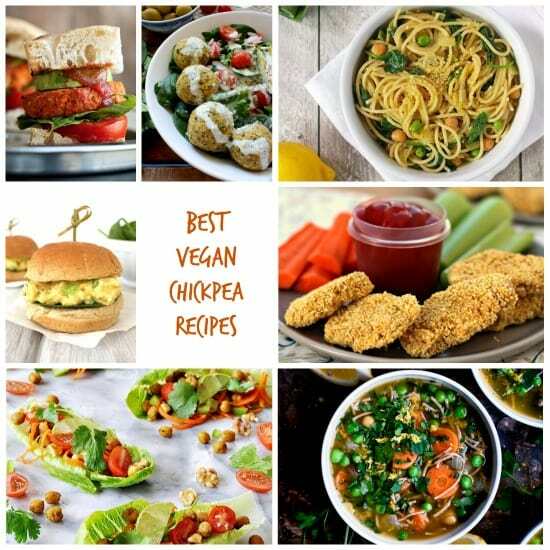 Creative Vegan Chickpea Recipes That Aren’t Hummus – Chickpeas are inexpensive, nutritious, delicious, and super versatile. And they’re not just for hummus! 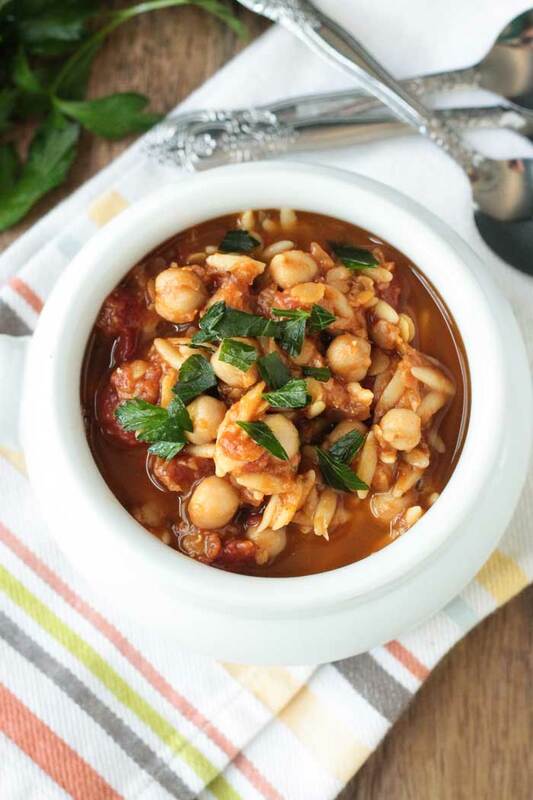 You guys loved the 18 Sweet Chickpea Recipes that I brought you a few weeks ago. Understandably, dessert recipes always get a great reaction. Especially ones made with highly nutritious ingredients, yet still taste indulgent. And as much as I love creating sweet treats with this versatile legume, I use them most often in savory dishes. 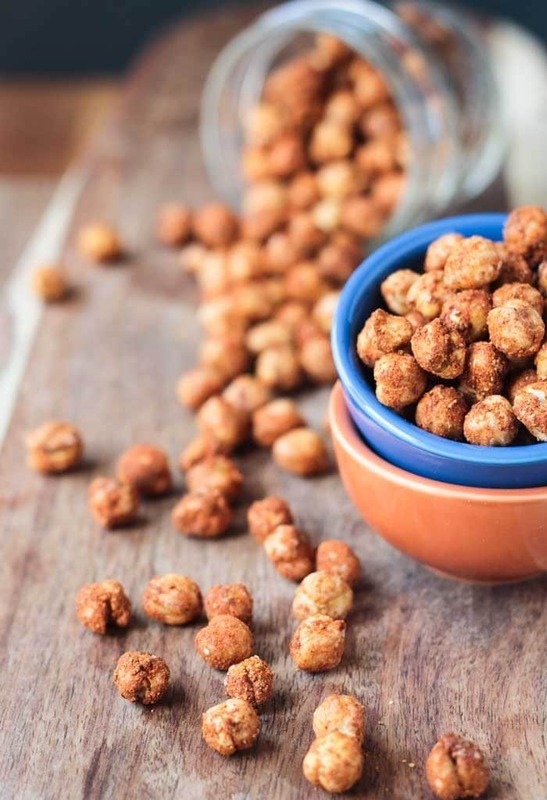 Breakfast, lunch, dinner, and even snacks – it’s easy to increase the heartiness and protein of a recipe by adding a cup or two of garbanzo beans (a.k.a. chickpeas). 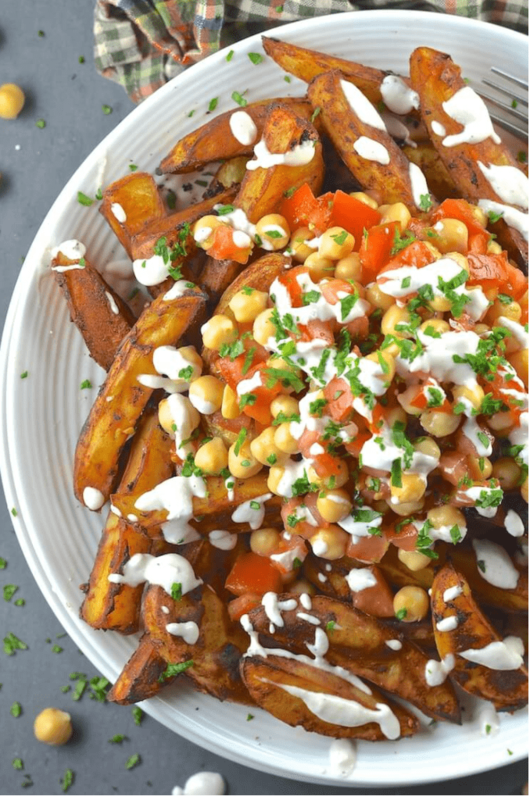 Once again, I asked some of my favorite blogging buddies to give me their best savory vegan chickpea recipes and I think you’re going to love them! 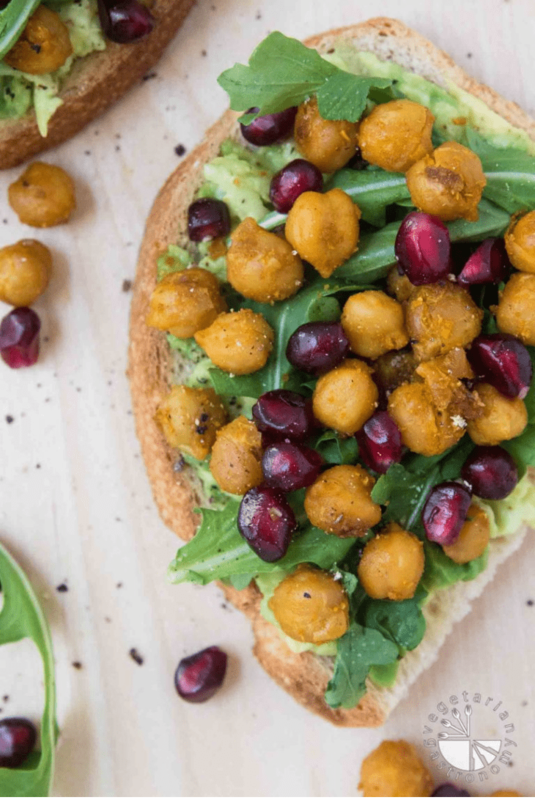 Loaded Avocado Toast – Creamy, crispy, bitter, sweet, salty and tart, this creative twist on avocado toast by Vegetarian Gastronomy has it all. 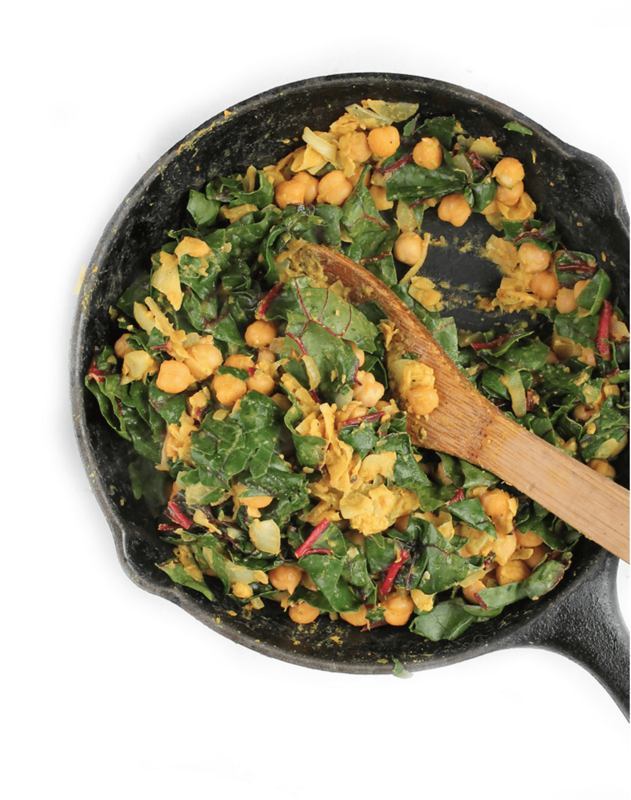 Swiss Chard Chickpea Breakfast Scramble – Delicious and hearty, this Swiss Chard Chickpea Scramble by My Darling Vegan can be made in just 20 minutes. Black Bean Taco Salad – Using crispy roasted chickpeas instead of the traditional fried tortilla strips usually found on taco salads, this delicious salad by Veggie Inspired (me!) makes the perfect summer weeknight meal. Middle Eastern Bean Salad – This flavorful salad, also know as Balela, by Veggies Save The Day, is a recreation of a Trader Joe’s favorite. 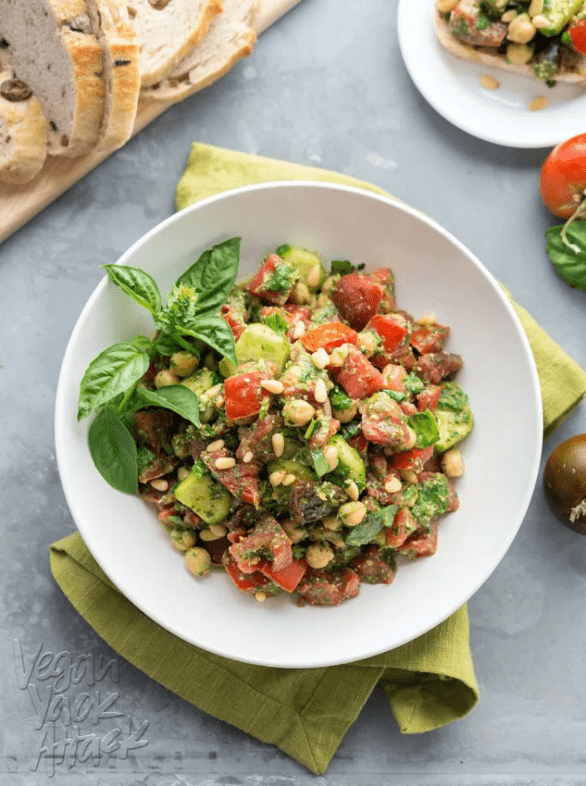 Oil-free Pesto Tomato Chickpea Salad – Vegan Yak Attack makes the most of fresh summer produce in this light, yet filling, salad. Deconstructed Falafel Salad – All the flavors of falafel with the ease of a simple salad by Fried Dandelions. 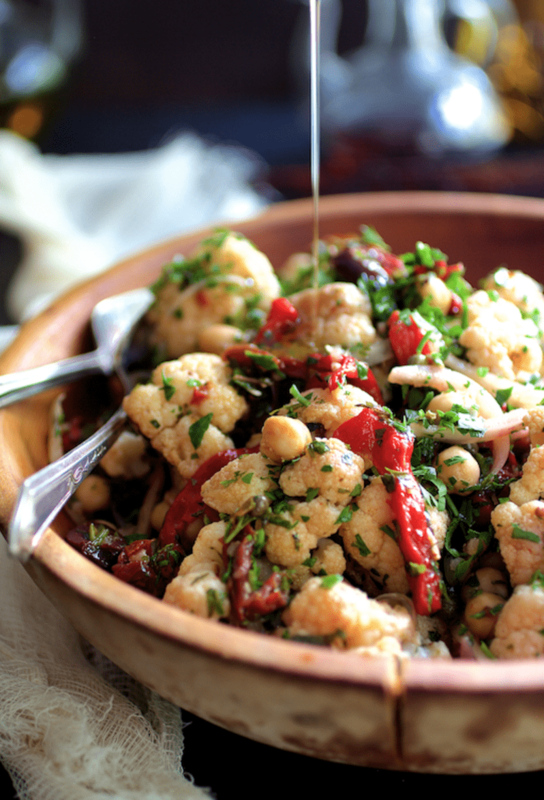 Warm Roasted Cauliflower & Chickpea Salad – You know I’m a sucker for all things cauliflower, so this gorgeous salad by From A Chef’s Kitchen is definitely on my must-make list! 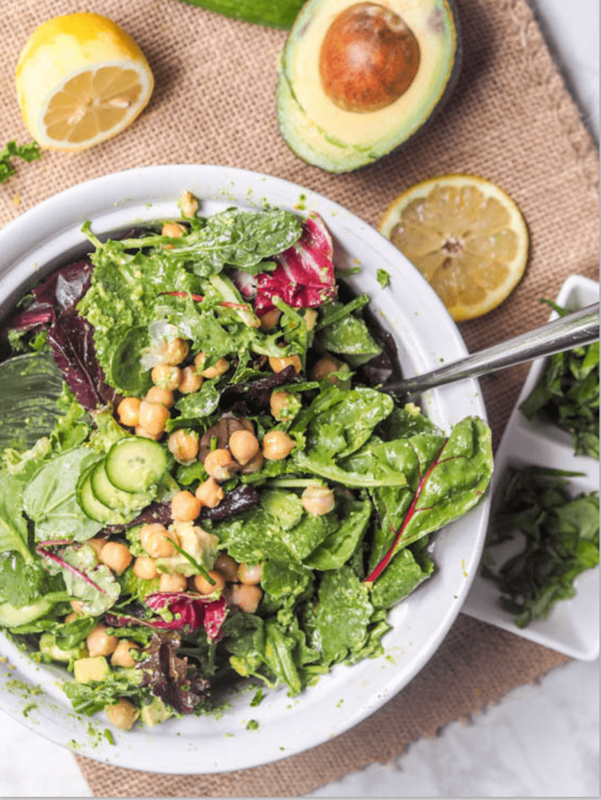 Avocado Chickpea Salad – Just a handful of ingredients, one of which is uber flavorful Basil Arugula Pesto, is needed for this mouthwatering salad by Avocado Pesto. 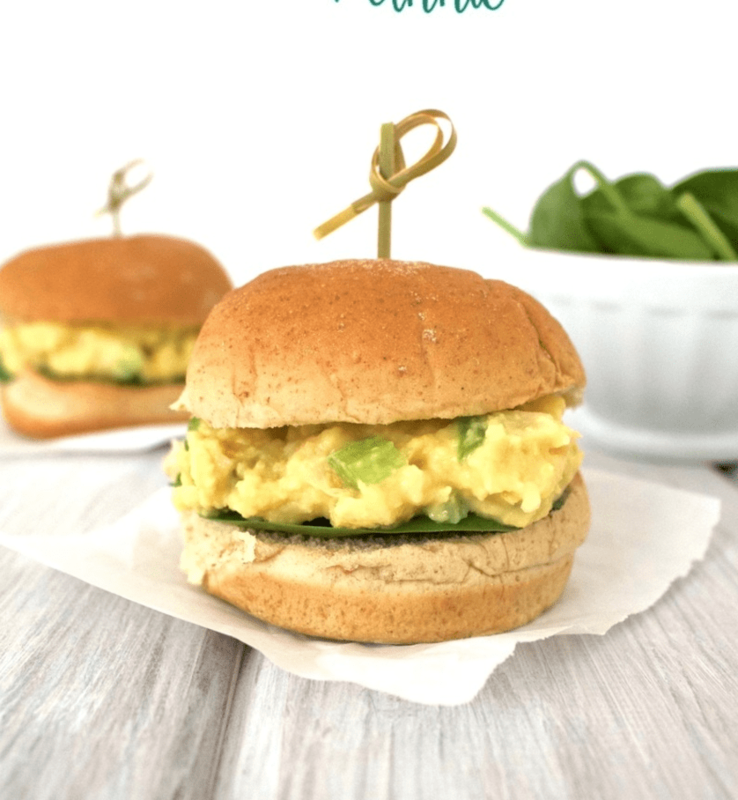 Tahini Chickpea Salad Sandwich – Perfect for lunch, a light dinner, or even a picnic on the go, this quick and easy sandwich by Dianne’s Vegan Kitchen uses tahini instead of mayo. Genius! 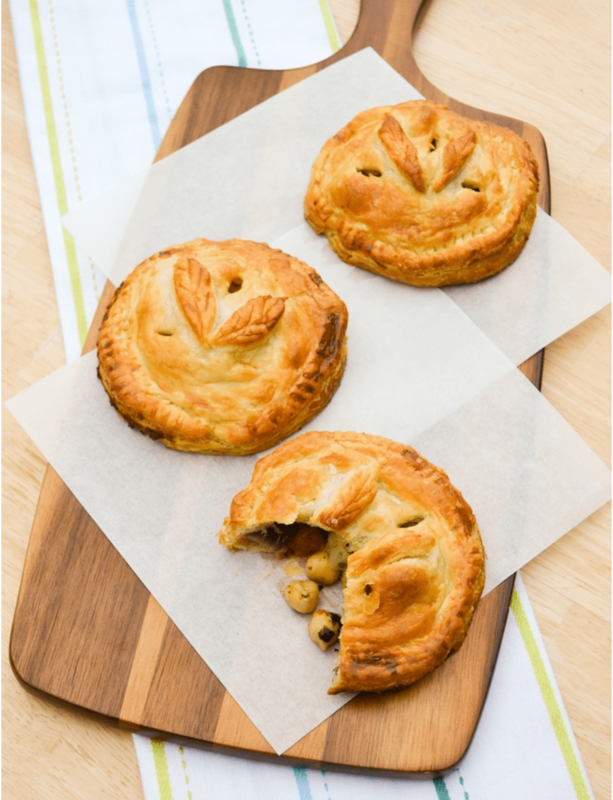 Chickpea & Vegetable Picnic Hand Pies – An entire meal in the palm of your hand by Tinned Tomatoes. Just look at that golden puff pastry! 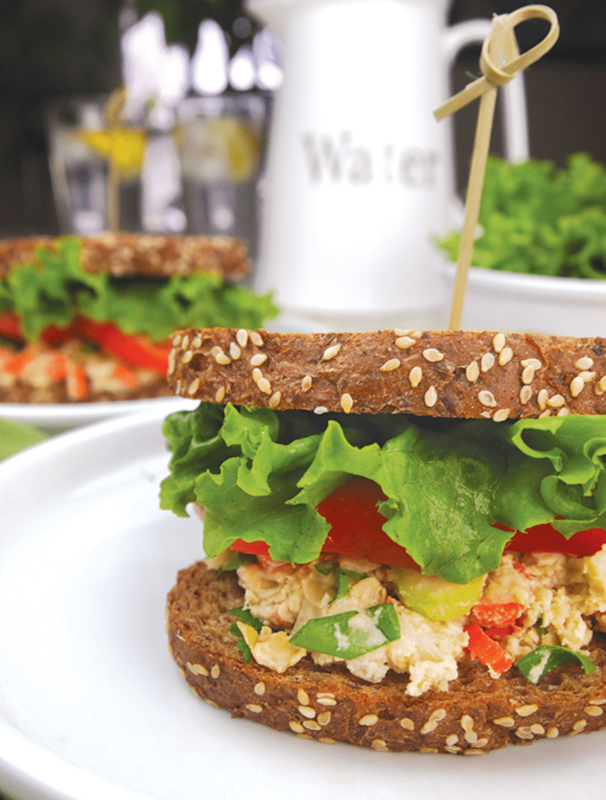 Vegan Tuna Salad – 100% plant based tuna salad by VegAnnie. Oil free, low fat and gluten free! Slow Cooker Red Lentil Chickpea Stew – Throw it all in the slow cooker and enjoy this easy, hearty, high protein, smoky stew by Veggie Inspired. 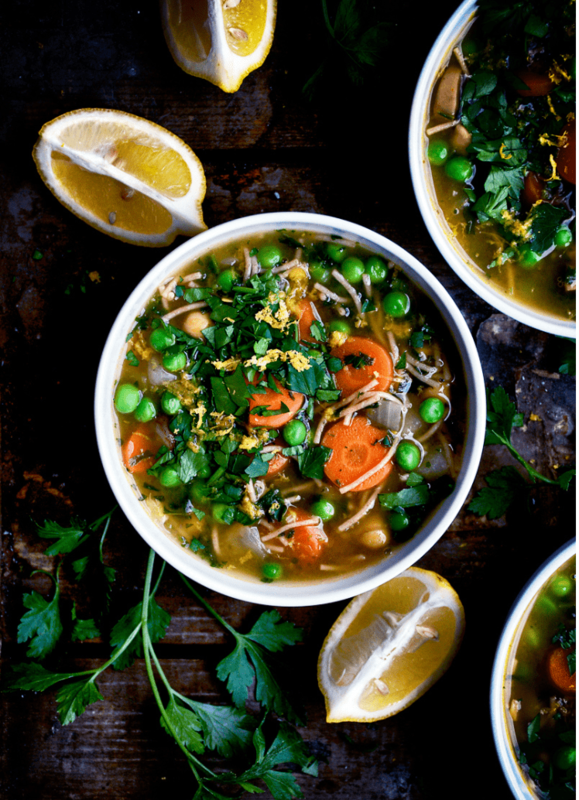 Chickpea Noodle Soup w/ Parsley & Lemon – This soup by Occasionaly Eggs is a beautiful plant based version of the comforting immune boosting soup of your childhood. 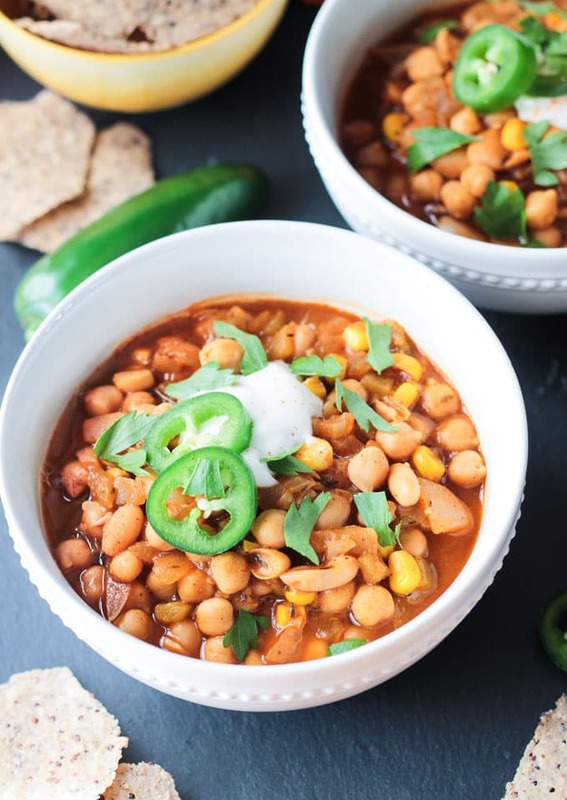 Chickpea White Chili – This quick and easy white bean chili by Veggie Inspired has all the spice and depth of regular chili, but no tomatoes in sight! 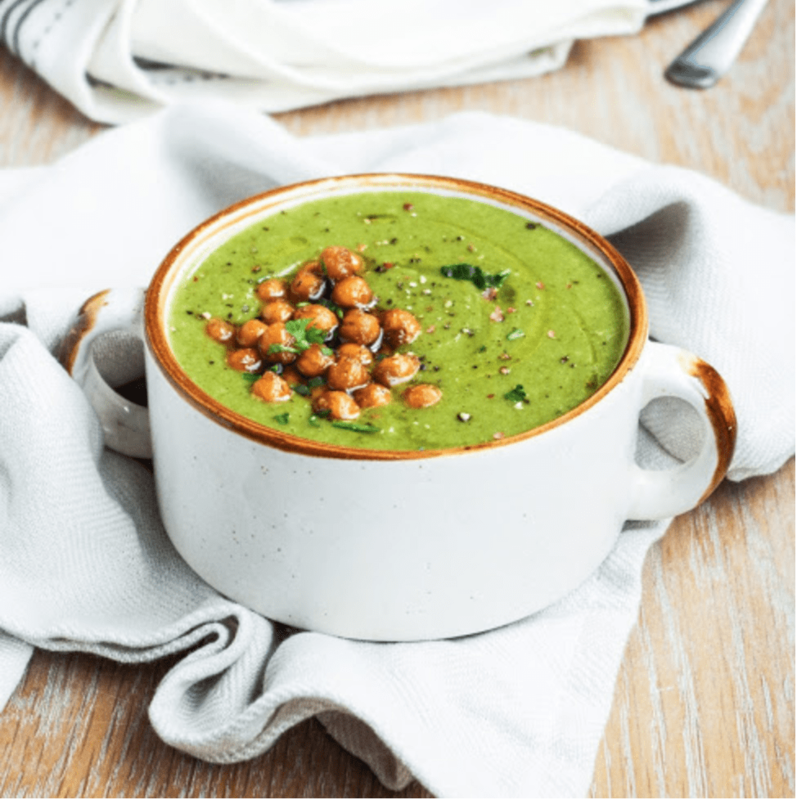 Broccoli Soup w/ Garlic Chickpea Croutons – Crunchy chickpeas are the perfect stand in for croutons in this creamy nutritious soup from Euphoric Vegan. 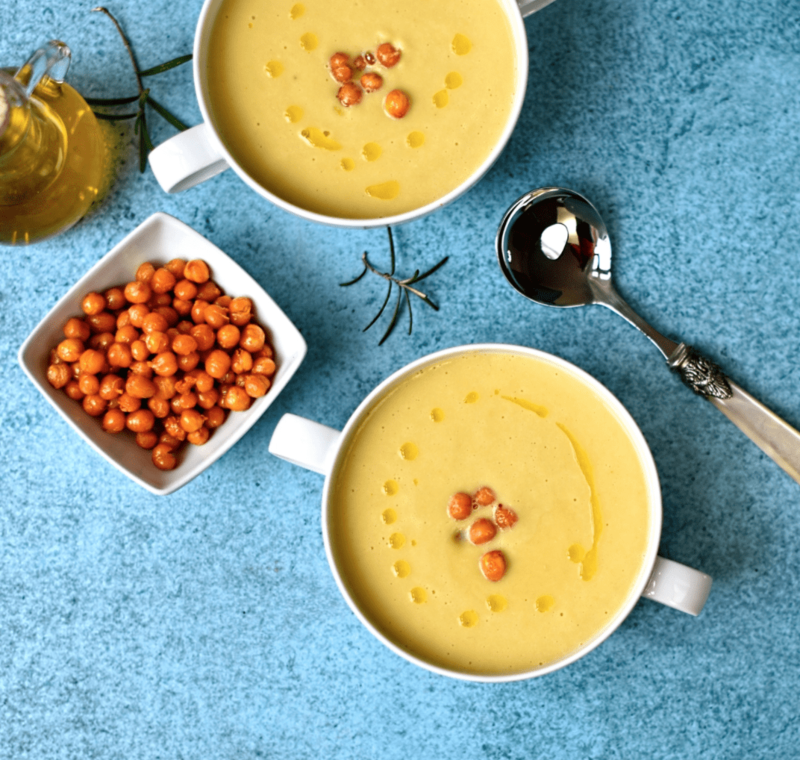 Chickpea Soup w/ Rosemary Oil – Chickpeas are the base of this soup and the garnish. With lots of garlic and fresh rosemary, I can almost taste it already. Fun fact – the Circus Gardener grows his own chickpeas! 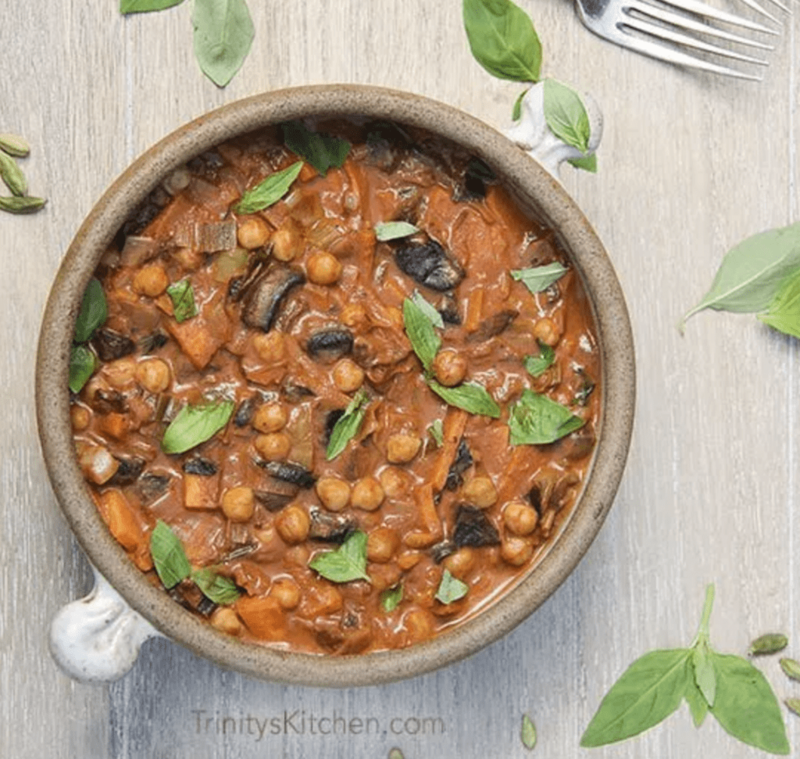 Spiced Chickpea Stew – chunky, saucy, flavorful, and full of healthy plant based protein, this stew from Veggie Inspired couldn’t be easier to make and it’s so darn yummy! Naturally vegan and gluten free. Serve it with a side of rice for a complete meal. The perfect warming weeknight dish. 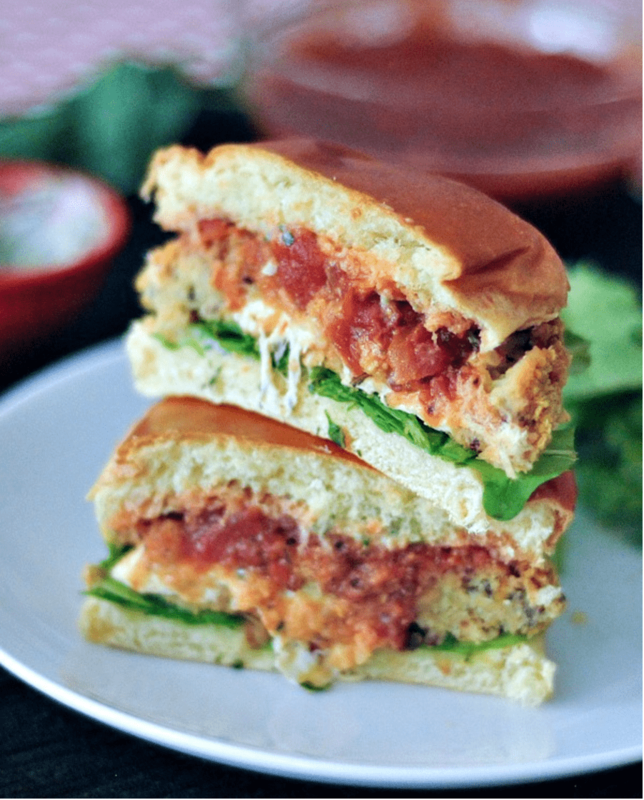 Mozzarella Stuffed Chick-quin Burgers – These crispy burgers by Spabettie are stuffed with melty vegan mozzarella and topped with marinara and fresh basil. 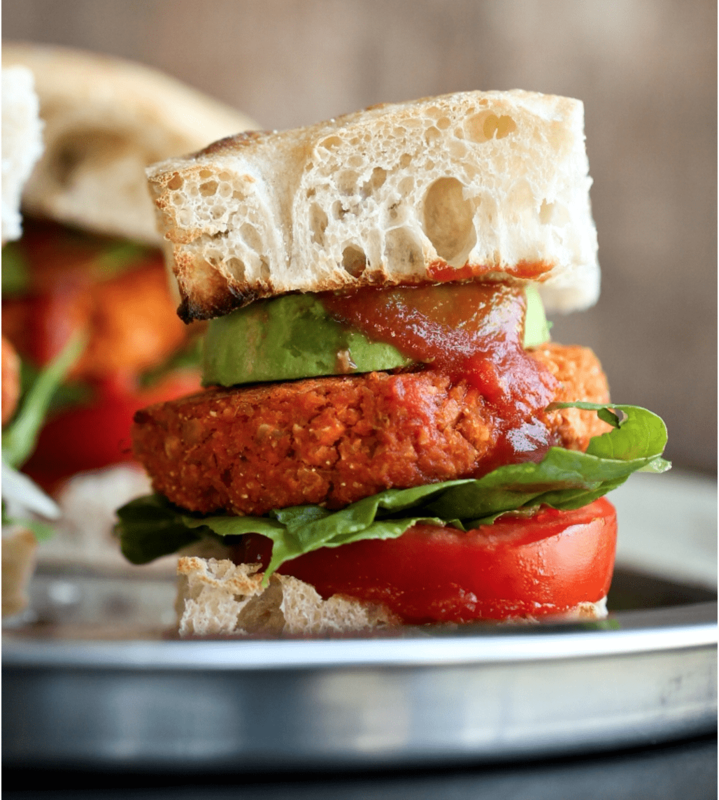 Smoky Barbecue Sweet Potato Chickpea Burgers – Chickpeas, sweet potatoes, and lots of barbecue sauce will have you drooling with these easy burgers from The Vegan 8. 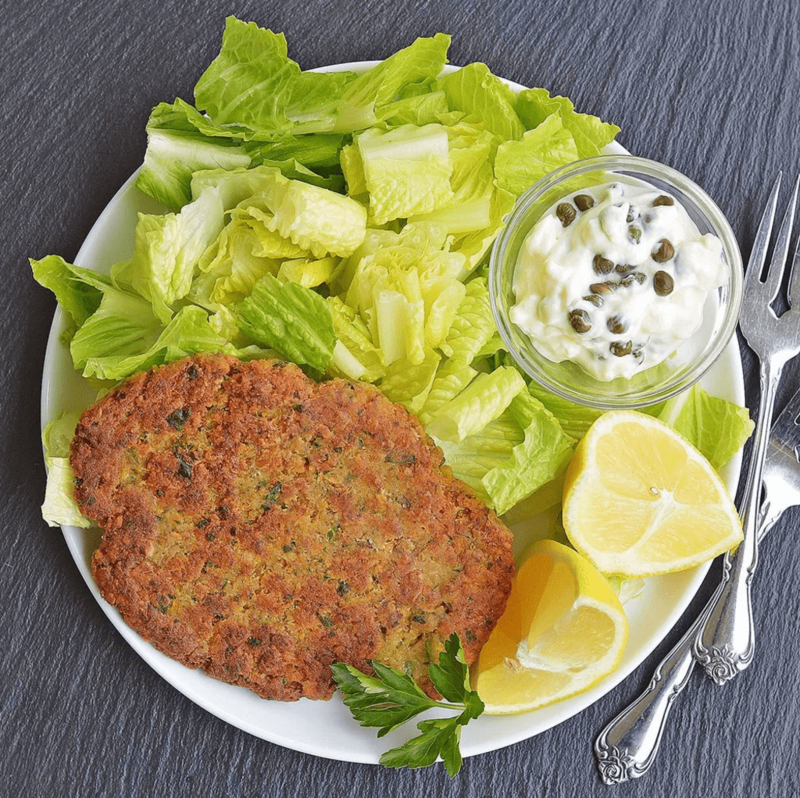 Crispy Chickpea Cutlets w/ Lemon Caper Sauce – Similar to falafel, but in cutlet shape with a super crispy crust. Pair these cutlets from Living Vegan with a baked potato and fresh steamed veggies for a “meat and potatoes” type plate. 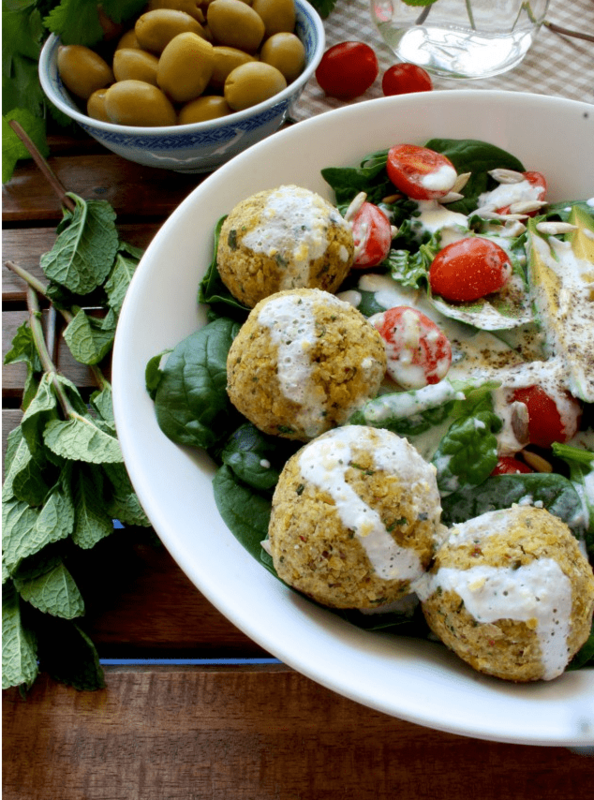 Crispy Baked Falafel w/ Hazelnuts & Lemon Mint Sauce – These crispy falafel from Happy Kitchen. Rocks are baked, not fried, making them low-fat and so delicious! 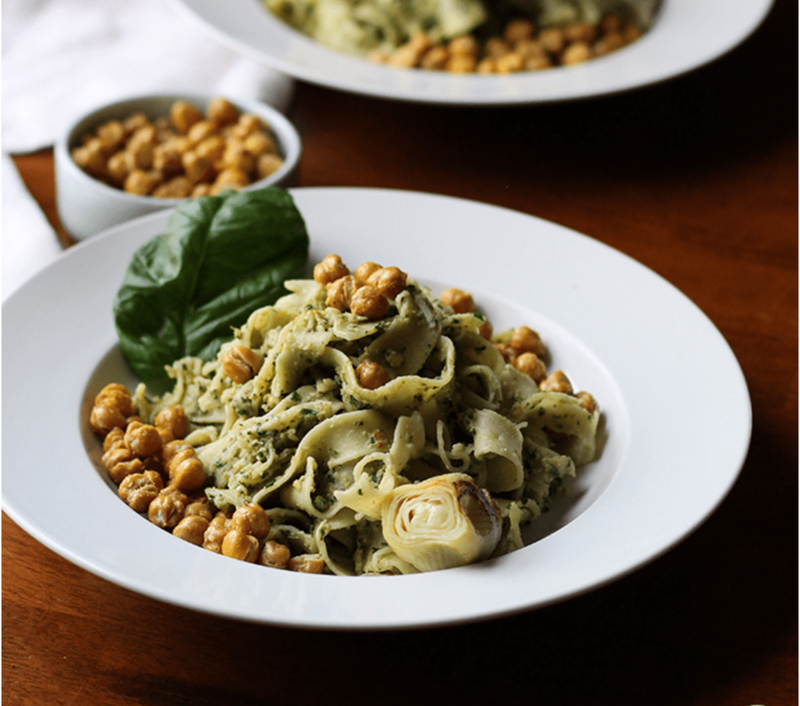 Artichoke Pesto Pasta – This yummy pasta dish from Cadry’s Kitchen looks fancy, but it can be made in just 20 minutes! She also give options for the chickpeas – either in the oven or in the air fryer. 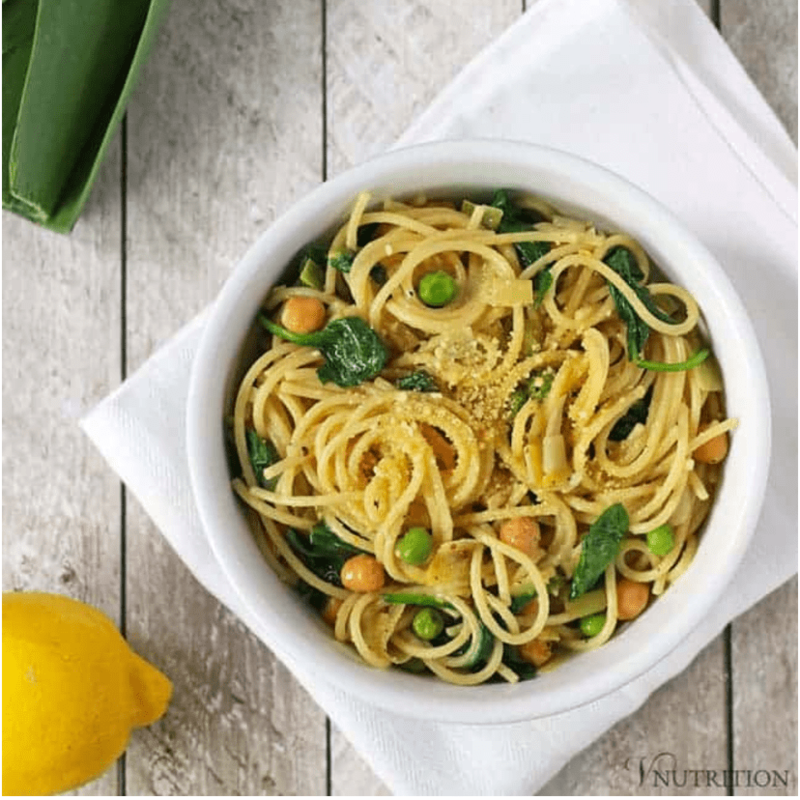 Lemon One Pot Pasta – One pot. 15 minutes. Pasta. What more could you ask for? 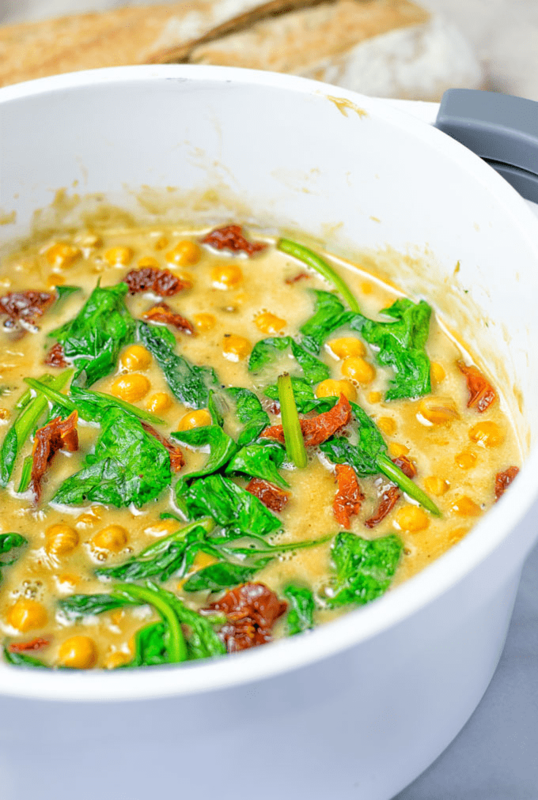 Thanks to V.Nutrition for this quick, easy, and delicious dish! 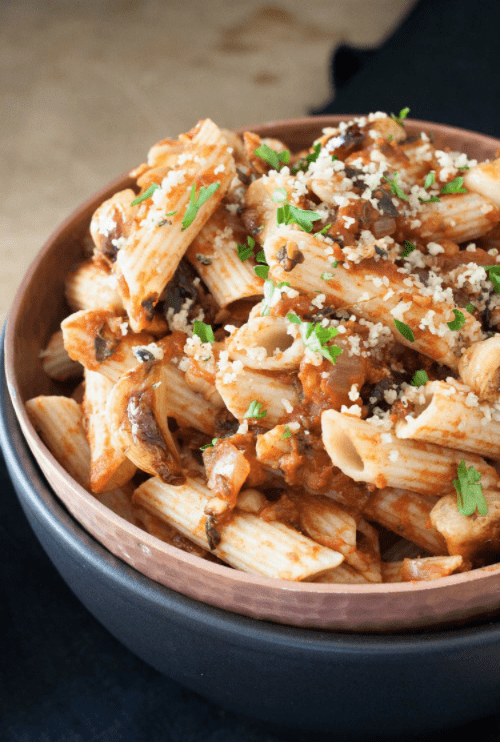 Chickpeas in Spicy Smoky Tomato Sauce w/ Penne – Veggies Don’t Bite had me at Spicy and Smoky! This is a comforting pasta dish easy enough for a weeknight meal. 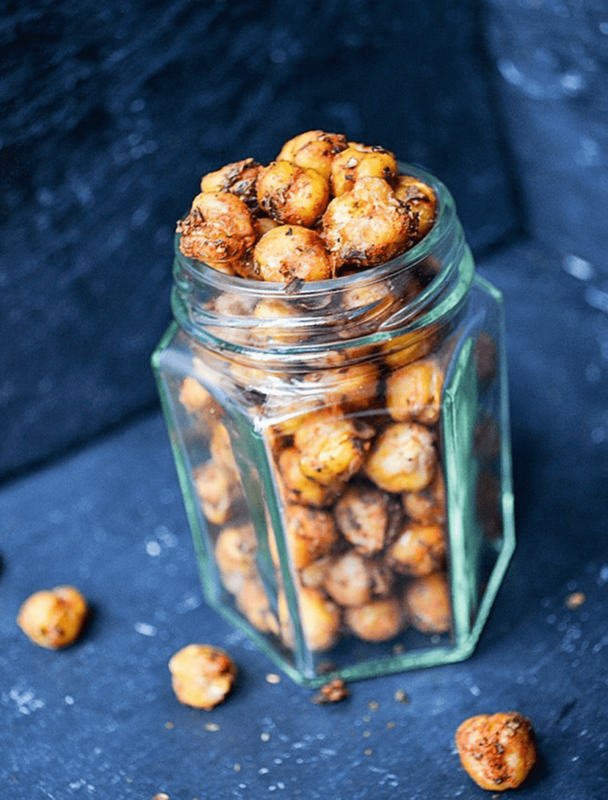 Smoky Roasted Chickpeas – smoky, salty, and oil-free, these Roasted Chickpeas by Veggie Inspired are as addictive as potato chips, but much healthier! 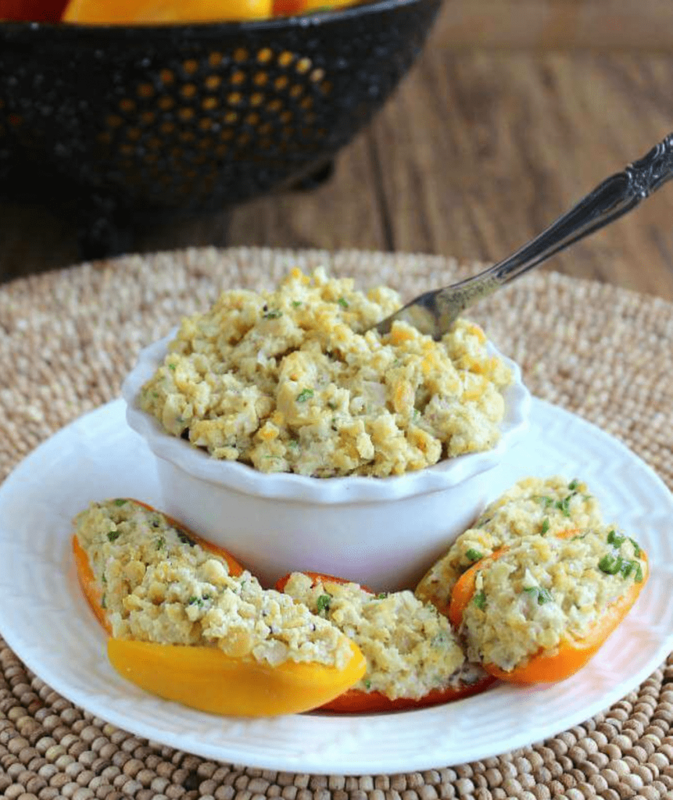 No Bake Stuffed Mini Peppers – Mild sweet peppers filled with flavorful chunky chickpea stuffing by Vegan in the Freezer. The perfect party appetizer or summer snack. Ranch Seasoned Air Fryer Chickpeas – If you have an air fryer, these roasted chickpeas with ranch seasonings from Glue and Glitter are for you! Becky uses aquafaba kind of like an egg wash to make them super crispy! Loaded Taco Fries – This dish by A Virtual Vegan is basically a taco salad with fries instead of lettuce and who wouldn’t want to get on board with that?! And it’s oil-free so you can stuff your face guilt free! 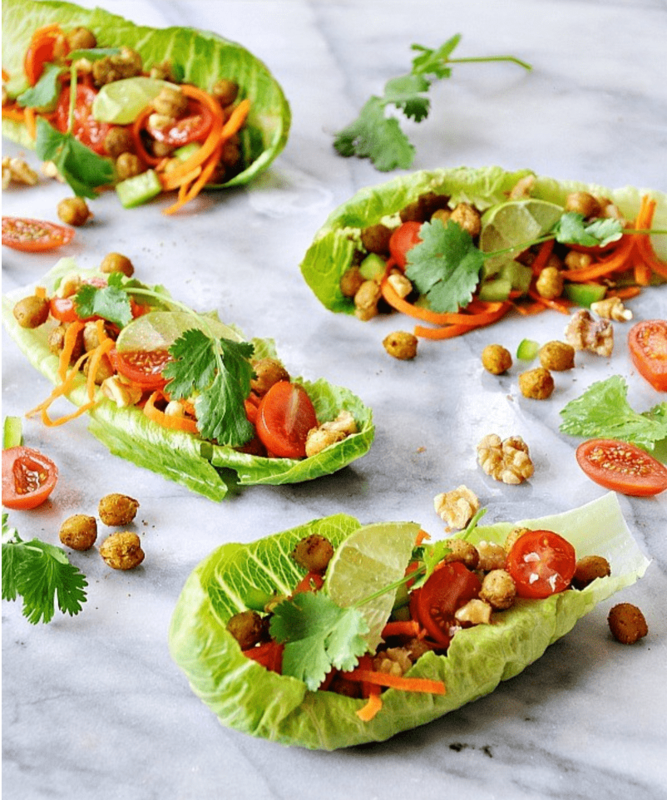 Spicy Roasted Chickpea Lettuce Wraps – A delicious appetizer, light lunch, or healthy snack, these Lettuce Wraps from Veganosity are crispy, crunchy, fresh, and spicy! 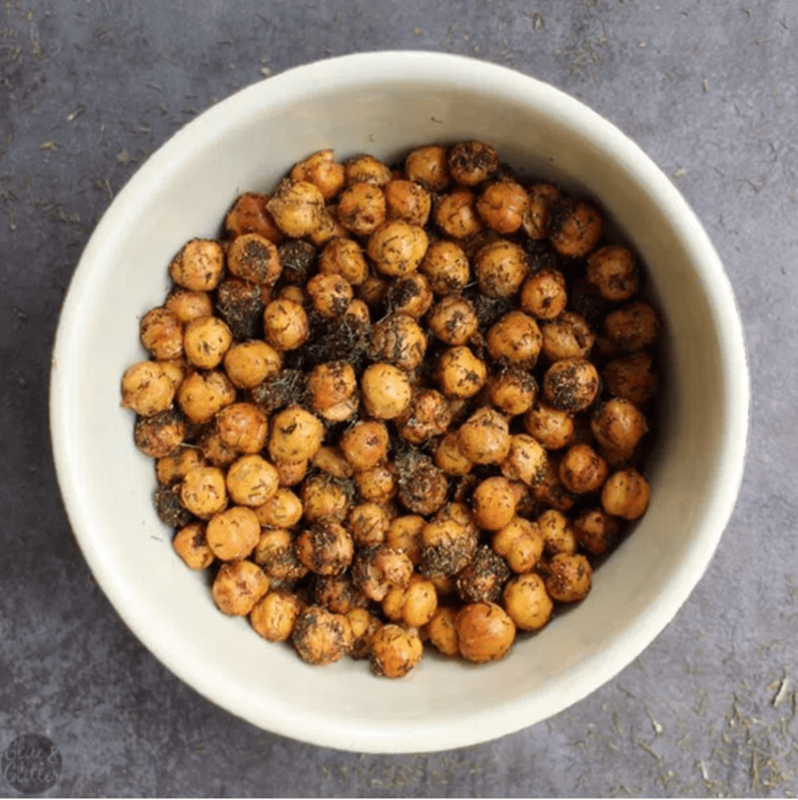 Crispy Chimichurri Roasted Chickpeas – Because you can never have too many crispy snack ideas, I’m giving you one more for roasted chickpeas. I am loving the chimichurri spice mix on these from Made By Luci and I think you will too! 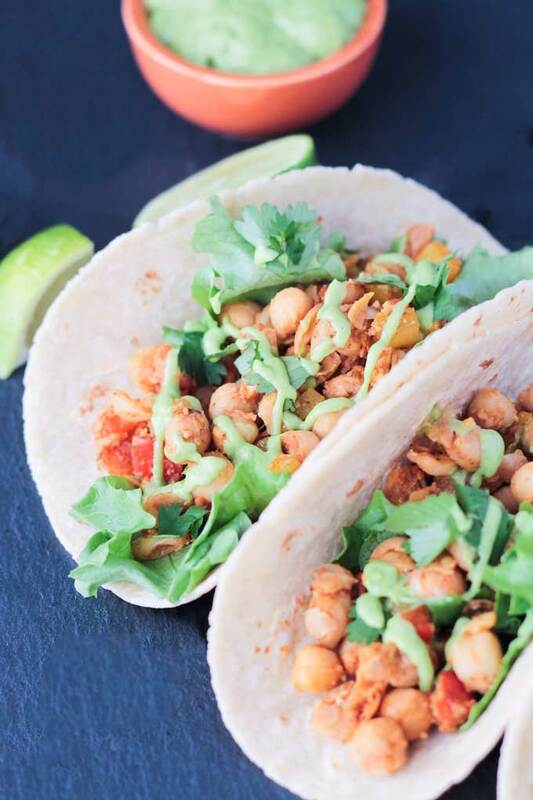 Bell Pepper & Chickpea Tacos – The quickest tacos you’ll ever make. Veggie Inspired pairs these light, yet hearty, tacos with a creamy Avocado Green Chile Sauce. One Pot Garlic Butter Chickpeas – Creamy, buttery, and full of garlic, this amazing dish by Contentedness Cooking is calling my name! 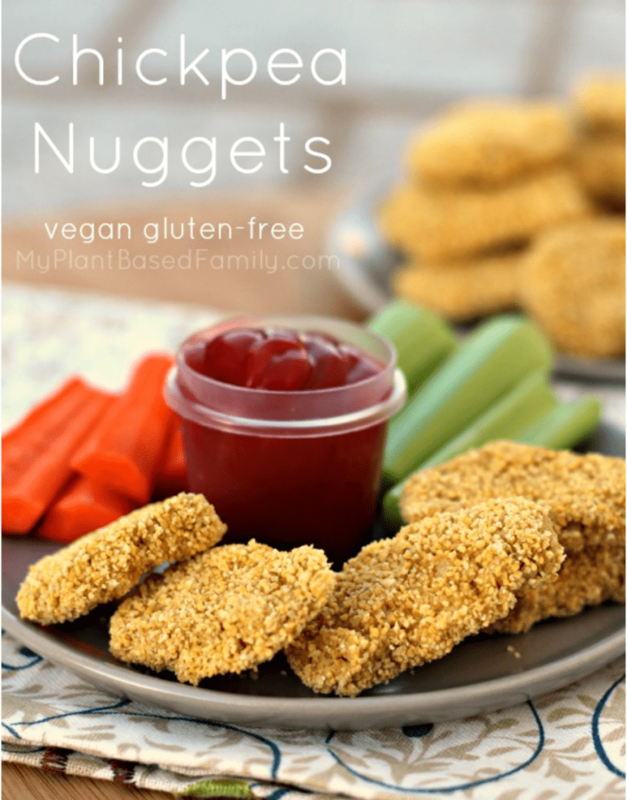 Chickpea Nuggets – Store bought vegan chicken nuggets are loaded with questionable ingredients, not to mention, they’re expensive. These little bites by My Plant Based Family need just 5 ingredients! Set out some dipping sauces and call the kids to dinner! 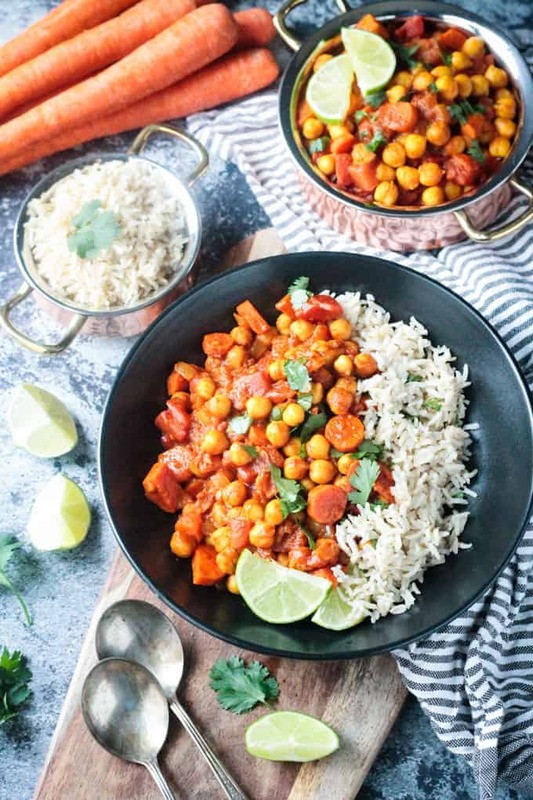 15 Minute Chickpea Curry – Curry in a hurry? Yup! This recipe by Trinity’s Kitchen brings all the flavor without the fuss. 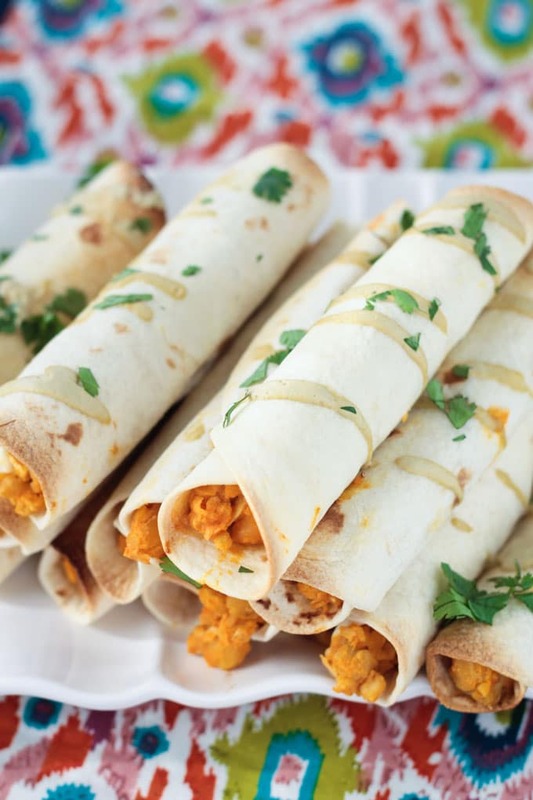 Baked Buffalo Vegan Taquitos – Combining the now famous Butternut Mac sauce with chickpeas and buffalo sauce makes these taquitos by Veggie Inspired a reader favorite! 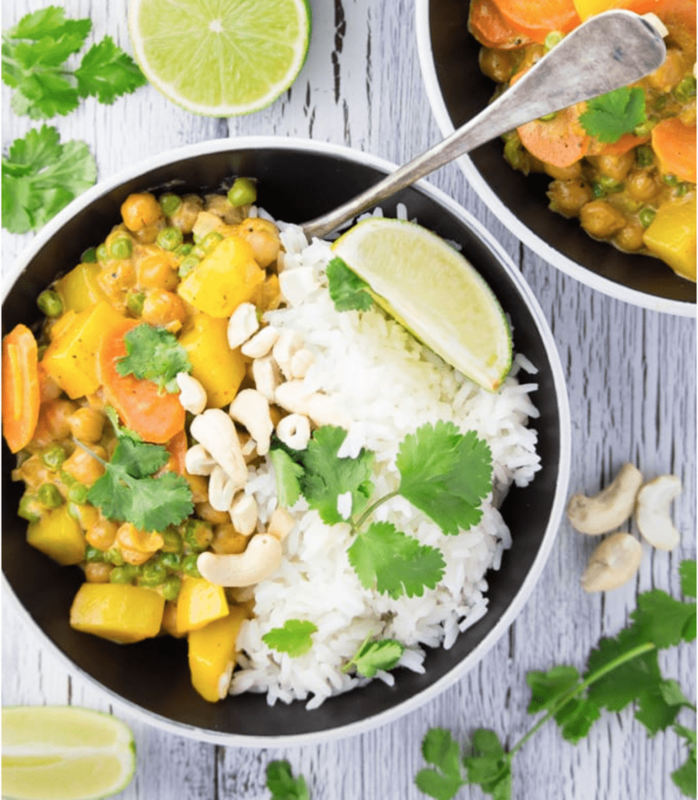 Vegan Chickpea Curry w/ Potatoes – Potatoes and rice – you can’t go wrong with double the carbs in this dish from Vegan Heaven. 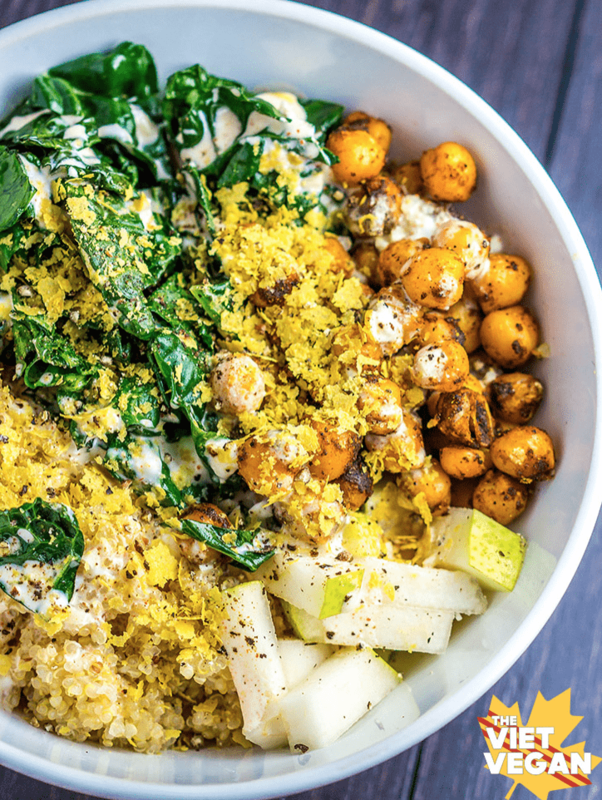 Quinoa Bowl w/ Chili Spiced Chickpeas – With wilted kale, pear, and garlic chipotle mayo, this fancy meal by The Viet Vegan sounds like something you’d get in a restaurant, but it can be made in under an hour. 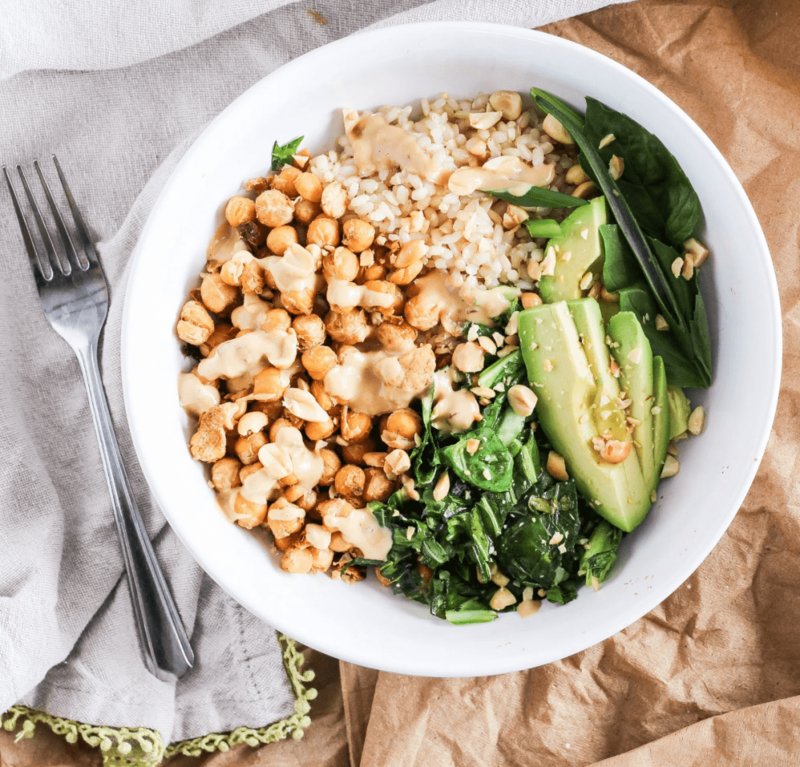 Spicy Peanut Chickpea Bowls – You’ll get all the flavors of your favorite Thai take-out in these bowls by The Grateful Grazer. 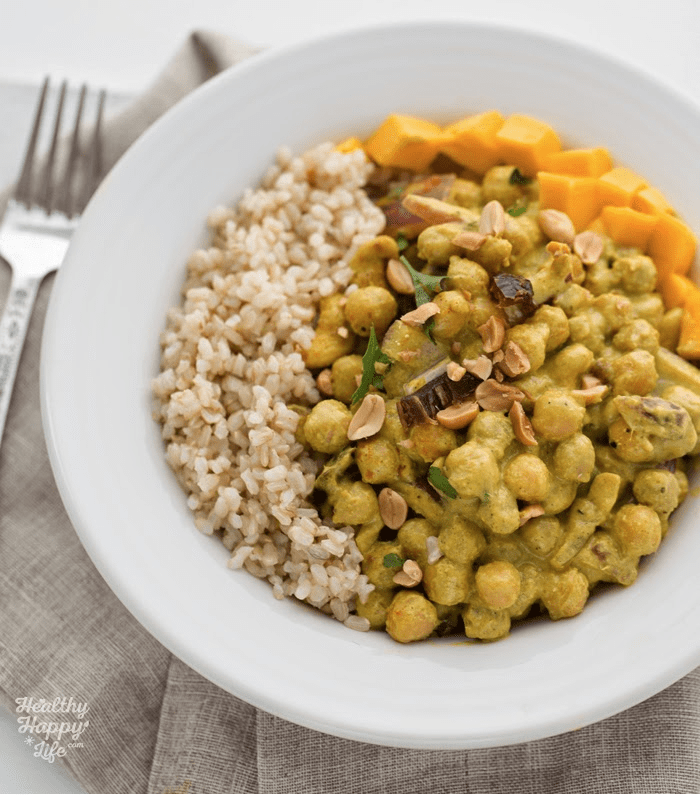 Peanut-Ginger Curry Chickpeas w/ Rice – Creamy, spicy and sweet, Healthy Happy Life combines chickpeas, onions, and cashews, with peanut butter, dates and ginger for a truly flavorful dish. 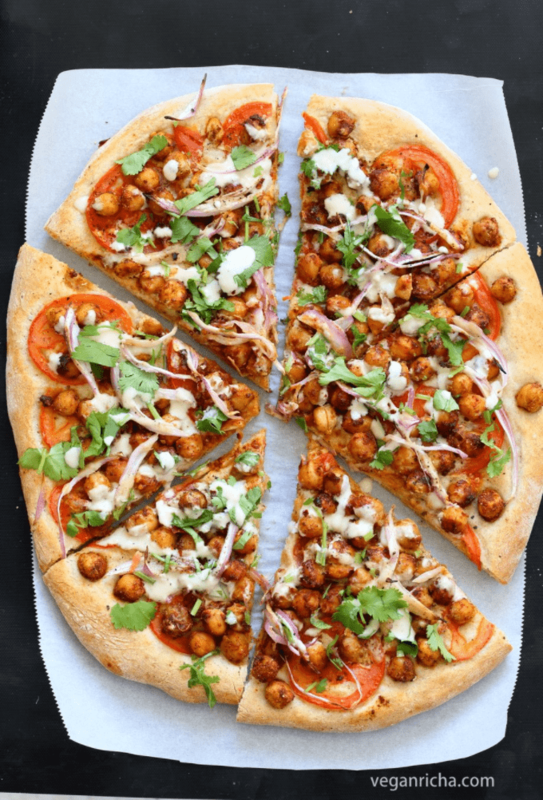 Ethiopian Berebere Chickpea Pizza – A flatbread type pizza, with a gluten free option, topped with Tahini Garlic Dressing by Vegan Richa. 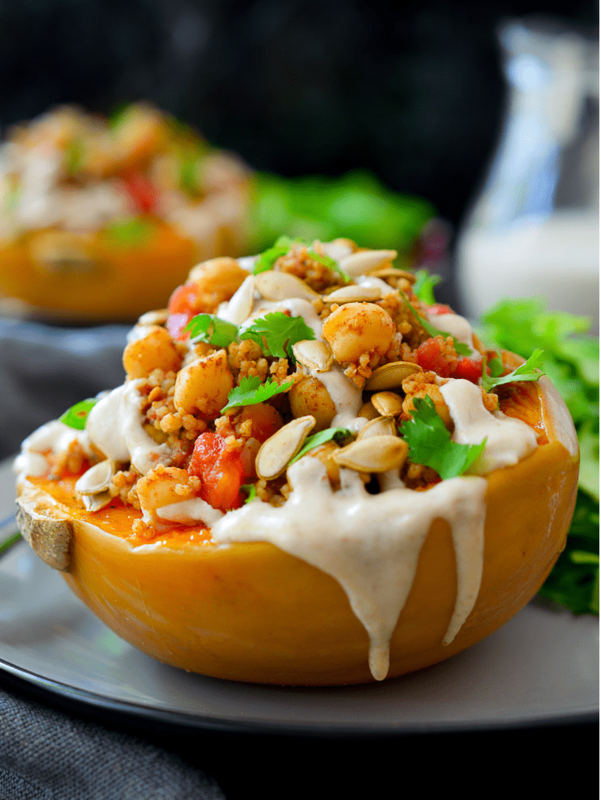 Moroccan Spiced Vegan Stuffed Squash – The Stingy Vegan stuffs roasted squash with couscous, chickpeas, and warming spices, and tops it off with a delicious tahini-date sauce. I hope I’ve inspired you to pick up a can of chickpeas and get in the kitchen! What are you most excited to try? Fabulously fantastic! Thanks for this great bunch chickpea recipes!!! What a great roundup Jenn! Thanks so much for including my recipe! sharing! I love this collection and thank you for including my cauliflower salad! I adore chickpeas and they really do have so many uses! Thanks, Carol! LOVE your cauliflower salad! 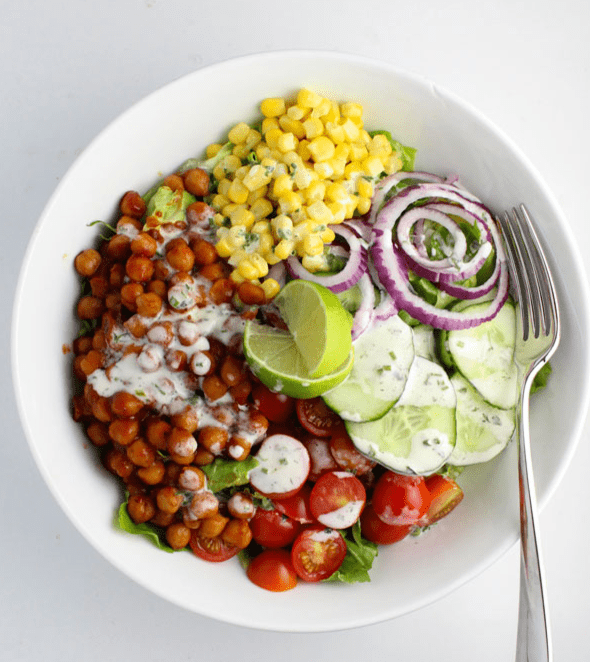 What a great idea to do a chickpea round-up! They are such a delicious, multi-purpose food. I could seriously eat them for breakfast, lunch, and dinner. Thanks for including my pasta recipe! Yes, perfect for any meal! Thanks, Cadry! So many delicious recipes using one of my favorite ingredients! 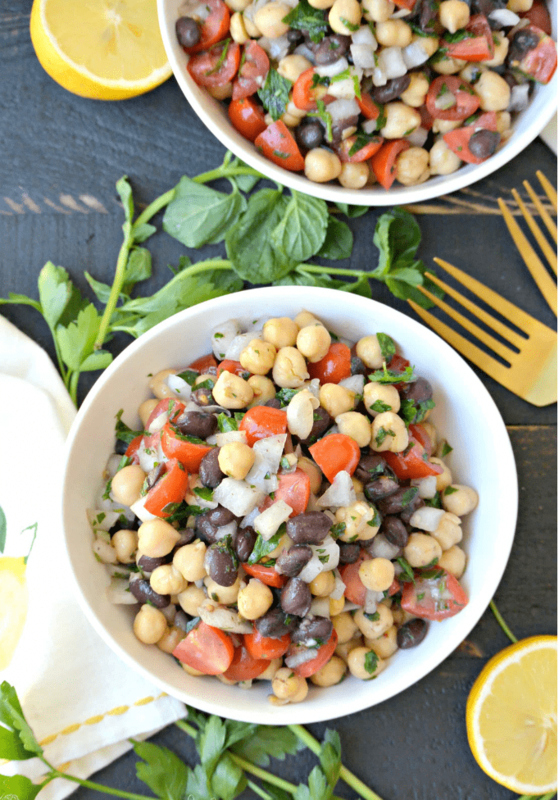 Thank you for including my Middle Eastern Bean Salad! Thanks, Amy! Chickpea have so many uses! Thanks for your delicious recipe! What a fun post! I will be working my way through this great lis. Thanks so much! How exciting! The perfect line up for chickpea fans!!! I feel really honoured to see my 15 minute Curry up there too. Big thanks. Thank you for your delicious recipe, Trinity! This is such a yummy collection of recipes! Thank you for including one of mine! Thanks for including me Jen!! 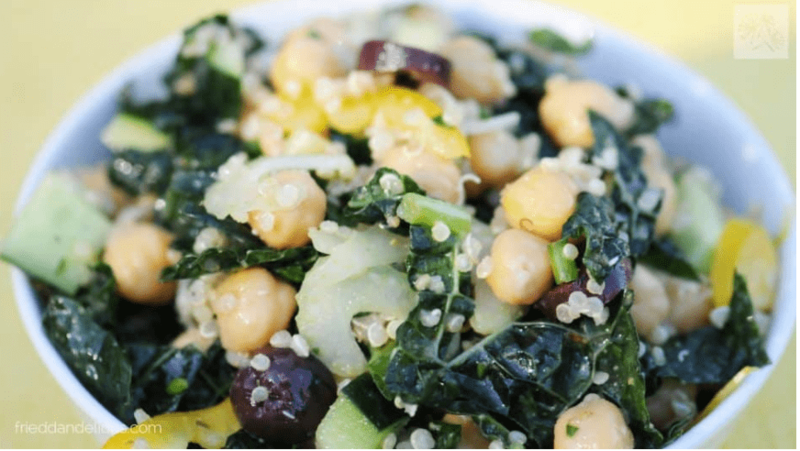 Chickpeas are a fave of mine and I love all these ways to use them!! You’re welcome! And thanks for your yummy pasta recipe! LOVE chickpeas!